Last November, Chevrolet unveiled its FNR-CarryAll Concept at the Guangzhou Motor Show. At first glance, this three-row crossover features much of the same styling as the reborn Blazer. The biggest difference, aside from the former being merely a concept? The Blazer is two-row only. That’ll soon change, according to a report from GM Authority. 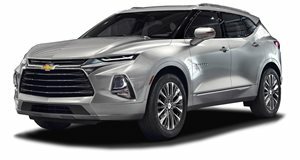 Its sources are claiming Chevrolet will debut a new mid-size three-row crossover dubbed the Blazer XL. It’ll supposedly go on sale first in China in 2020 and will come to additional markets in due time. The Blazer XL will essentially be the production version of the FNR concept and its general styling will be very similar to the concept and standard Blazer. However, its length will be extended by 5.5 inches while maintaining nearly the same 112.9-inch wheelbase. In other words, both crossovers will ride on the same platform. But wait, doesn’t Chevy already have a three-row crossover on sale in the US? Yes, that would be the Traverse. And yes, it too rides on the same platform as the Blazer and upcoming Blazer XL. So why does Chevy need yet another three-row CUV? 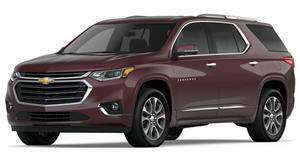 Believe it or not, the Traverse is not sold in China, the world’s largest automotive market, because it’s too big. The platform can be stretched and shortened as needed, and so the Traverse, combined with its larger body, is a no-go for various markets. That’s where the Blazer XL will come in. And because of that, chances are it won’t be sold in the US or Canada. There’s just no need for it. But three-row crossovers are increasingly becoming more popular not only in China but even in parts of Europe. The trick is to downsize them just enough without sacrificing too much interior volume. The Blazer XL appears to be Chevy’s answer.